A Mother father and baby child on a white bed. Bringing a newborn into the family brings joy — and more expenses. And it turns out the D.C. metro region is among the most expensive places to raise a child. WASHINGTON — Bringing a newborn into the family brings joy — and more expenses. And it turns out the D.C. metro region is among the most expensive places to raise a child. Magnify Money added up a basic, no-frills monthly baby budget for America’s 100 largest metropolitan areas, and included the average rent difference between a one-bedroom and two-bedroom apartment; average daycare costs; average costs of baby apparel, diapers and wipes; average additional food costs, and the average cost of adding a child to workplace health insurance. It also offset that amount with the per-child federal tax credit. 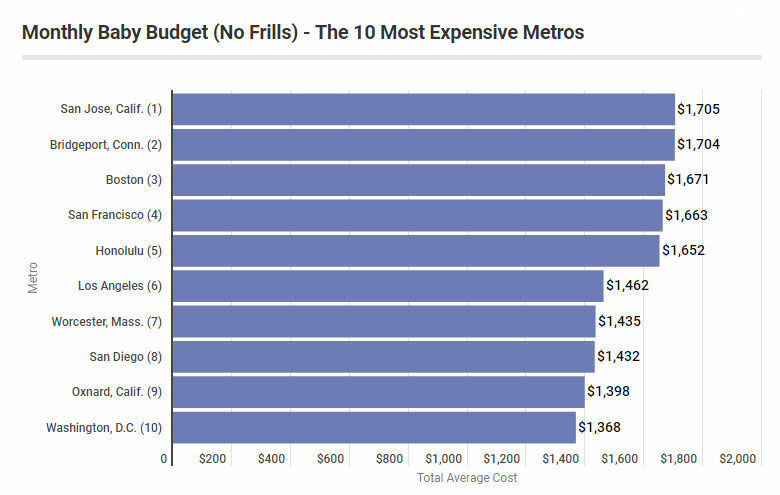 Washington ranks 10th on the list, with a total, basic monthly baby budget of $1,398. As Magnify Money points out, these are just the basic costs. 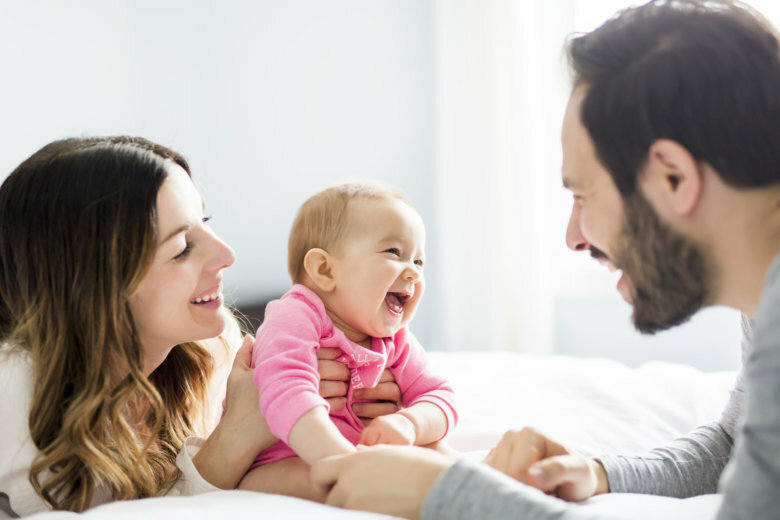 Parents who prioritize higher-end goods, parenting classes, baby sitters and other expenses can expect a much bigger monthly baby budget. Day care costs are by far the largest monthly expenses, representing 72 percent of monthly costs on average. In the D.C. metro region, day care costs average more than $1,000 per month. But acting to eliminate those costs by having one parent temporarily leave work to care for a child at home can have its unwanted trade-offs. Magnify Money said stay-at-home parents can suffer long-term and compounding economic consequences by taking a break from the workforce, including loss of career and wage advancement, Social Security contributions and retirement fund contributions. It recommends taking advantage of federal and state childcare subsidies based on income.